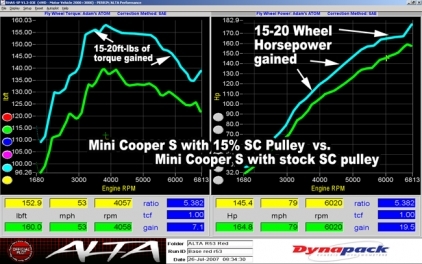 The quickest and easiest way to add 20+ Wheel HP to your MINI Cooper S! Constructed of lightweight 6061T6 aluminum, the ALTA supercharger pulley body decreases rotational inertia of the supercharger adding response to your engine. 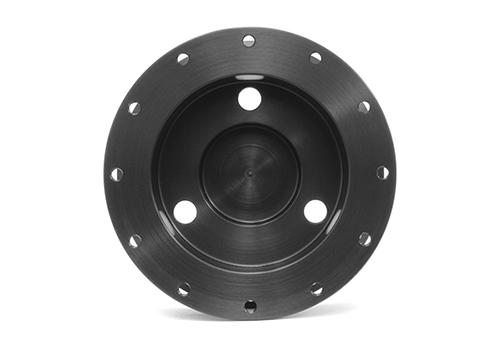 Holes are cross drilled through the pulley and over each groove, to increase belt grip and reduce belt slippage as your belt stretches. 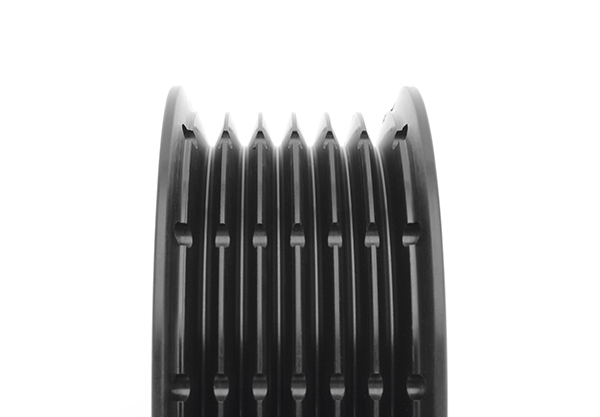 Also incorporated into the design are oversized belt retainers, which reduces belts from jumping off. The ALTA Supercharger Pulley features a stainless steel coupler which clamps onto the supercharger shaft rather then wedging in place like other aftermarket pulleys. 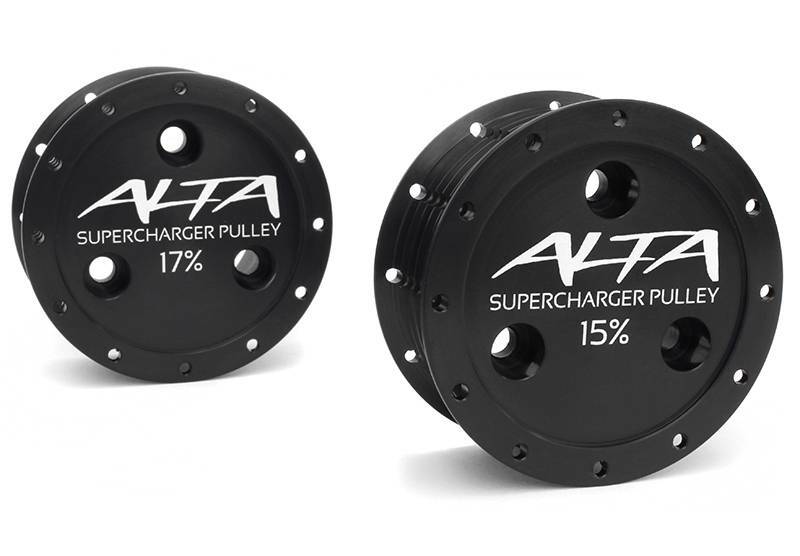 ALTA was the first pulley to use this clamp-on method, and it has proven to grip the supercharger shaft better than other aftermarket pulleys and it will work for those who have had other pulleys slip and cause damage to the supercharger shaft. 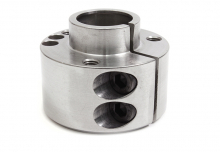 Our hub will attach to supercharger shafts that have been worn down by as much as .020" and still work perfectly! Additionally the ALTA pulley coupler features an open installation site aperture in end of our shaft coupler which allows you to visibly verify that the shaft collar is fully seated to the supercharger shaft. 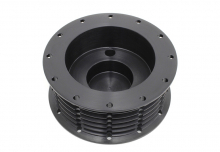 The black outer pulley is machined on a lathe from solid billet aluminum. Since this part is perfectly symmetrical it is naturally balanced in itself. The non-symetrical hub adaptor must be balanced to offset the weight of the clamping bolts and slit. In the machine shop we balanced our prototype pulley to within 0.1 gram at 16000RPM (even better than stock). Data from that balancing was added to the model and applied to all production parts ensuring the entire part is balanced. 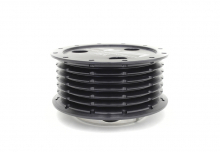 This reduction size is the market standard and produces smooth, safe power increases of around 20WHP. 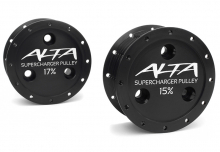 For those seeking a bit more power, the 17% is the ideal choice! 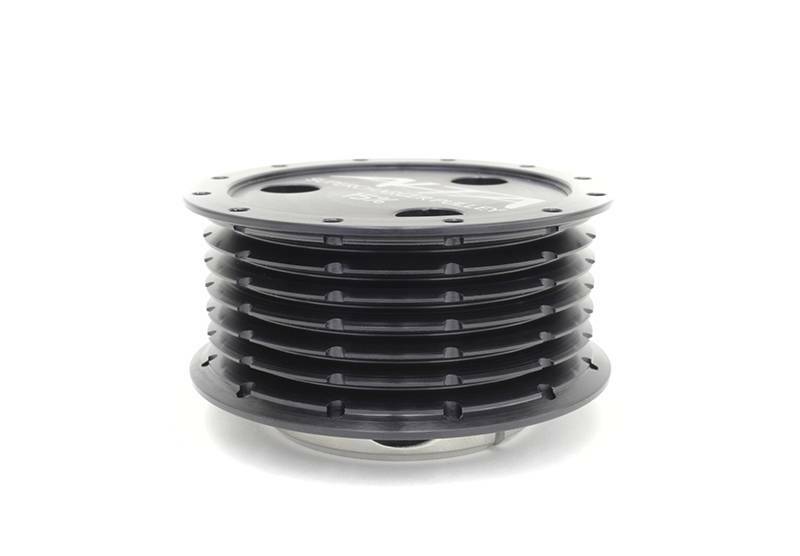 Builds boost at a lower RPM giving you even more power down low where you need it, combined with another 1.5psi of boost at redline, it gives you the extra HP to conquer even the toughest challenge! 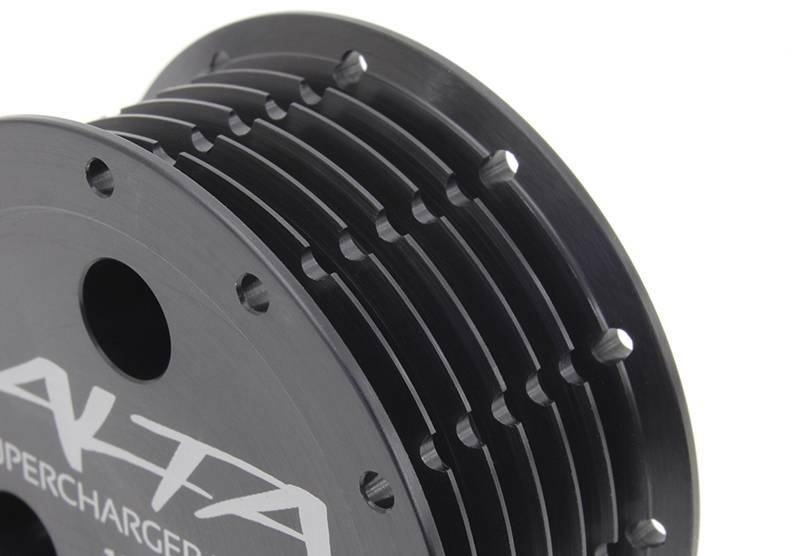 Here you'll find the correct belt required for your particular supercharger pulley setup. 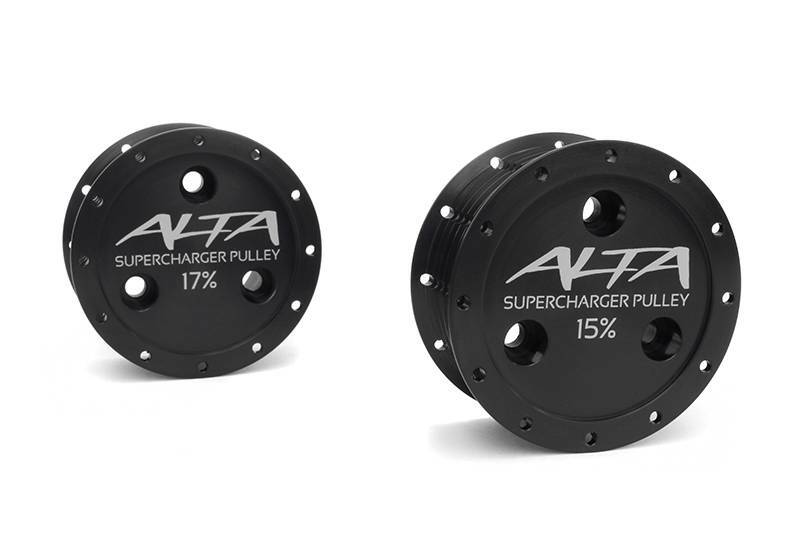 The ALTA Pulley Removal Tool is the perfect tool to reliably remove the factory supercharger pulley from your MINI Cooper S (tool does not work on JCW or GP pulleys). 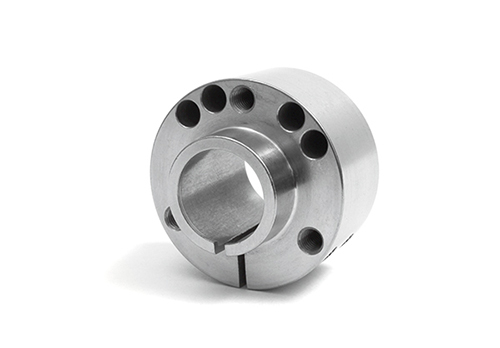 You can purchase your own tool; perfect for club events or group installations. In 2003 ALTA was the first manufacturer to design a two piece, taper fit Mini Cooper Supercharger Pulley (V1). 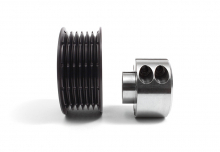 Today, this is the most imitated design on the market. 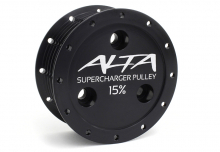 The current version of the ALTA pulley (V2) has taken pulley design to the next level. 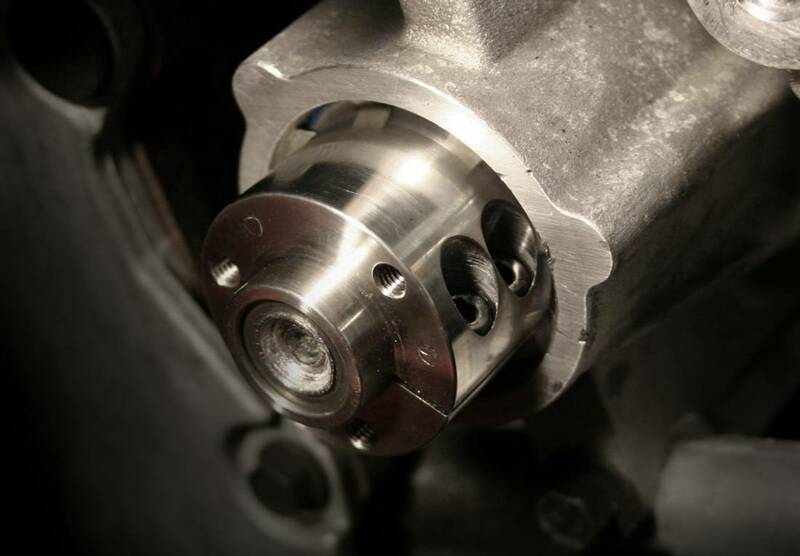 Installation is easier than ever, and the results are even more fantastic. 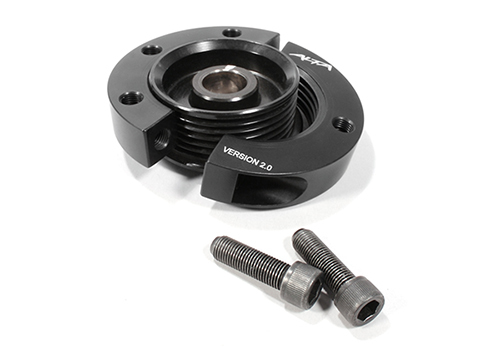 **SC Pulley fits, but ALTA pulley puller will not remove pulley as JCW and GP pulley is smaller than Cooper S.